... my first concealed carry sixgun in 1956 was a then-brand new 2nd Generation 7-1/2" Colt Single Action .45. It was chosen very scientifically: It was what I had. Oh, I had other choices, Ruger’s .357 and .44 Blackhawks, but they both had adjustable sights and did not carry well in my waistband. 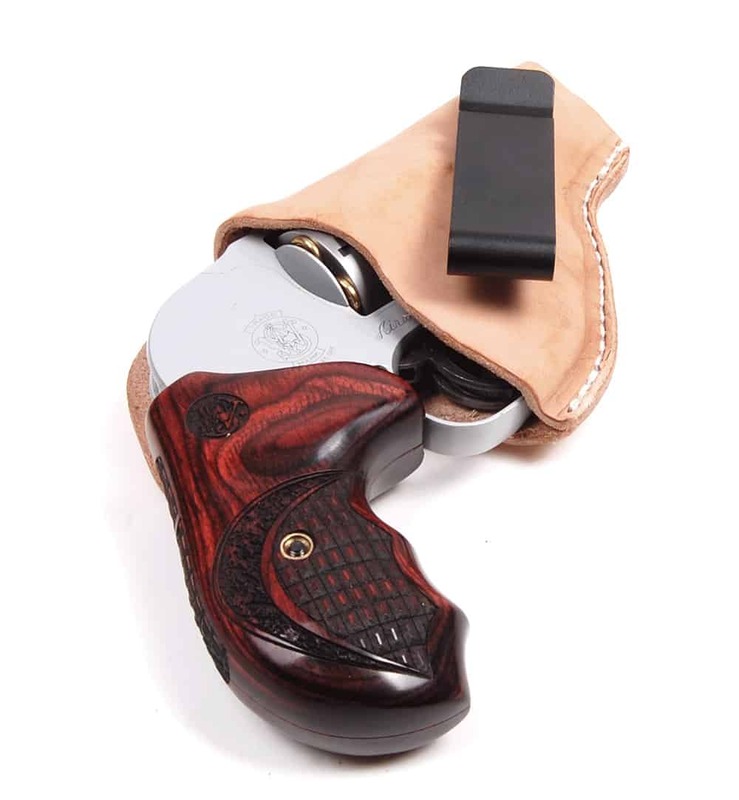 The Colt nestled nicely in the waistband and with the loading gate open it never slipped down. The first two real pocket pistols I had in the early 1960s were a Smith & Wesson .38 Chiefs Special and a Colt nickel-plated .38 Special Cobra my first, concealed-carry sixgun in 1956 was a then brand-new 2nd Generation 7-1/2" Colt Single Action .45. It was chosen very scientifically: it was what I had. Oh, I had other choices such as Ruger’s .357 and .44 Blackhawks, however they both had adjustable sights and did not carry well in my waistband. The Colt nestled nicely in the waistband and with the loading gate open never slipped down. The first two real pocket pistols I had in the early 1960's were a Smith & Wesson .38 Chief's Special and a Colt nickel-plated .38 Special Cobra. Over the ensuing decades I have carried many different examples and what I carry today may be different down the line as I encounter other pistols for testing. One constant has remained over the past several decades, namely the Smith & Wesson Scandium-Titanium 2" Model 340 J-Frame .357 Magnum. It's carried in a pocket holster that grabs the lining of my front pocket and keeps it in the same position at all times. I started with full-house .357 Magnum loads, however, it didn't take too many of these for me to switch to .38 Special +P. My current carry load is a Black Hills 125 JHP. John’s two sixguns of choice: A S&W M340 .357 and an NAA .22 Short. They're always with him. It has often been said our concealed carry guns should be comforting not comfortable, but at this stage of my life I am much more concerned with comfortable. I normally wear a vest and I have tried out many different kinds — both so-called tactical and regular — always looking for the perfect carry vest. I am very close. I chose one from King Size as it is offered in a Tall version. This allows the vest to more than adequately cover anything I may have in my waistband and the side pockets to ride a little lower. I have found both left- and right-hand pockets will carry a smallish semi-automatic pistol and the pockets are of such a shape the pistol stays right where I place it. Also, when I sit down, the pockets ride on the top of my legs and are easily accessed. My two current pocket pistols are a Springfield Armory 9mm XDs Compact and a brand-new 9mm GLOCK Model 48. I may carry one of these in the right or left pocket. Or sometimes I carry both. When my hand goes into the pocket it naturally falls on the grip so I already have the proper hold when the gun is drawn. Both of these are loaded with Black Hills HoneyBadger. Currently, John’s main CCW pocket pistols are a Springfield Armory XDs 9mm and a GLOCK 48, also a 9mm. One other always-with-me, last-ditch sixgun is a little North American Arms five-shot revolver chambered in .22 Short. It's loaded with hollowpoints, carried in the chest pocket of my shirt or vest, and I pray I will never be in the situation where this is my last hope.